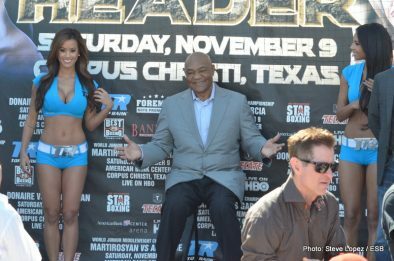 Boxing returns to the south this weekend in Corpus Christi, TX for another fall Top Rank tripleheader showdown on HBO Boxing After Dark. 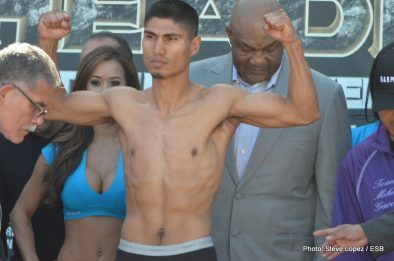 Headlining the card is the WBO Super Featherweight title fight between Mikey Garcia and Roman “Rocky” Martinez. 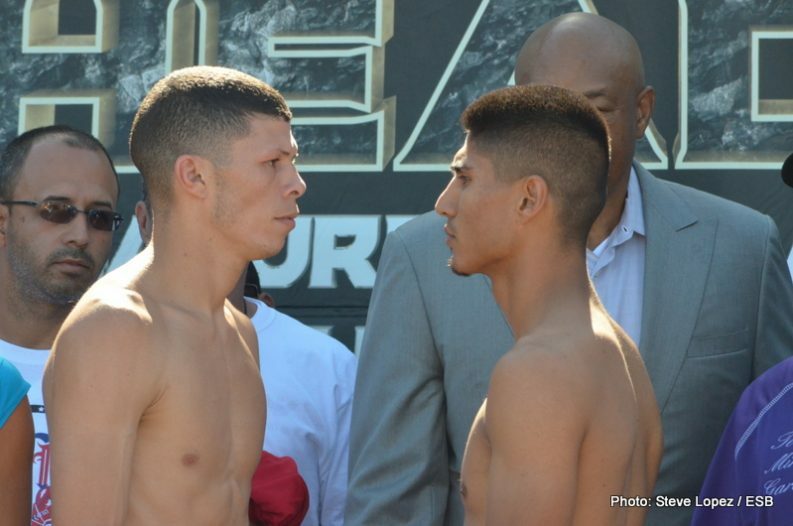 After losing his Featherweight title at the scales earlier this year, Garcia makes a move to the Super Featherweight division to challenge Martinez in another Mexico VS. Puerto Rico clash. 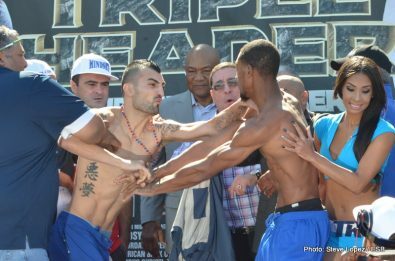 Co-headling the card is a rematch between Nonito Donaire and Vic Darchinyan. In 2007, Donaire derailed the Darchinyan express with a vicious left hook to end their first encounter via KO win for Donaire. 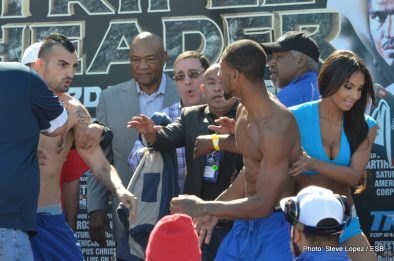 Six years in the making, Darchinyan gets his chance at redemption. 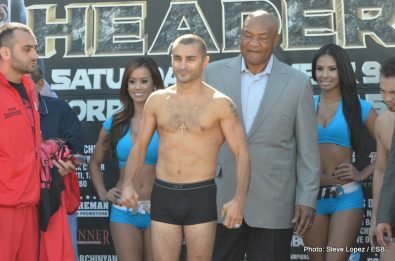 Having never fought at Featherweight, it will be interesting to see how Darchinyan’s chin holds up at the new weight. 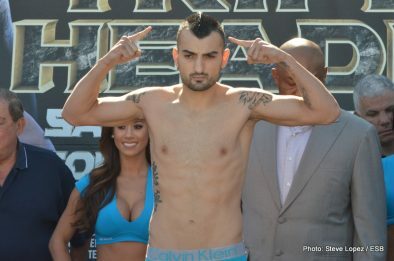 A heavy puncher himself, Darchinyan is oozing with confidence by ensuring a victory for himself and Armenia. 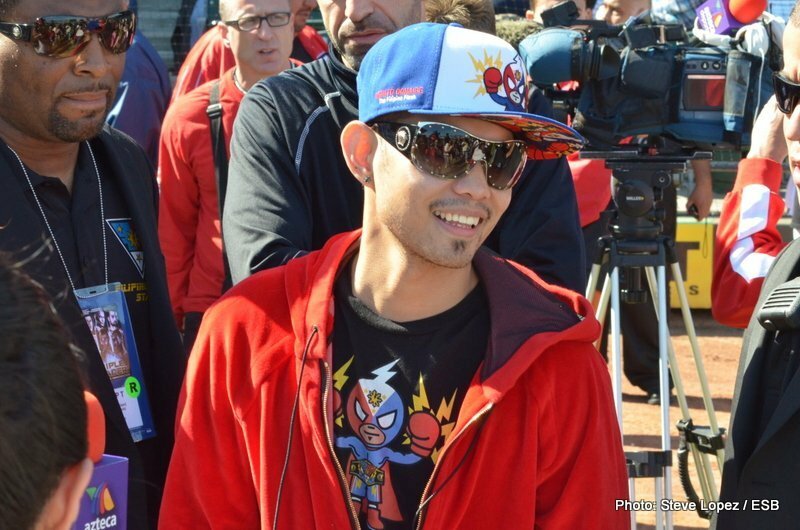 Donaire is looking at producing a stellar performance after being dominated by Guillermo Rigondeaux earlier in 2013. 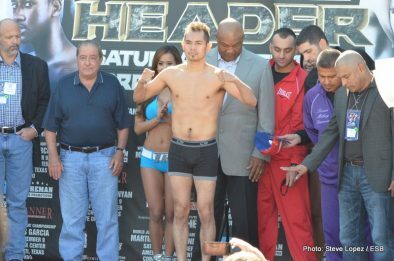 Stylistically, this fight will work in Donaire’s favor as Darchinyan is looking at landing his left. 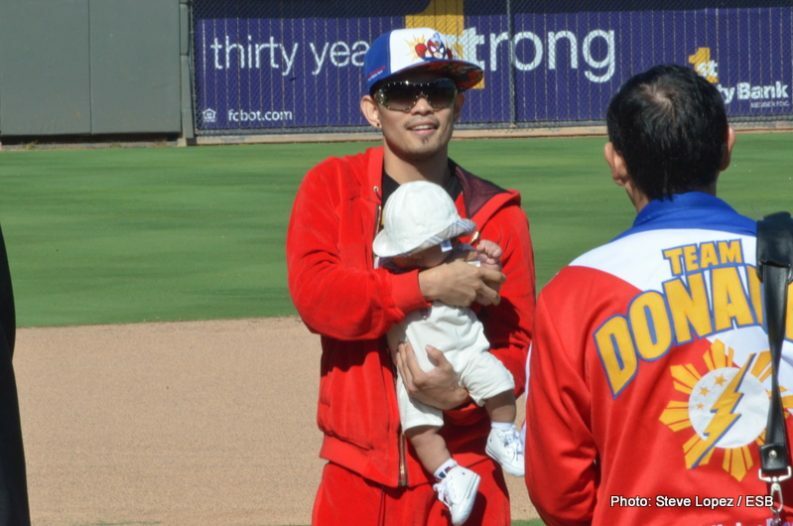 Donaire’s counter left hook will simultaneously be looking for its target as well. 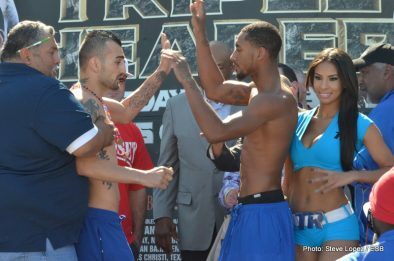 Opening up the HBO Boxing After Dark telecast will be a Junior Middleweight fight between Vanes Martirosyan and Demetrius Andrade. 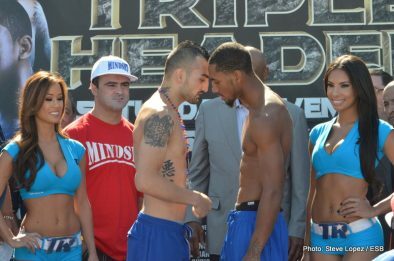 The only fireworks for the entire weigh-in occurred at the time of the staredown between Martirosyan and Andrade. 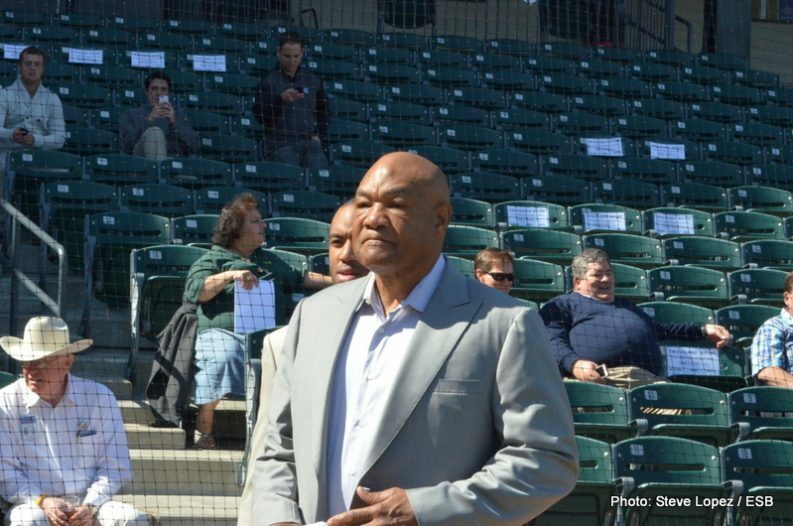 Perhaps this opening bout will steal the show. 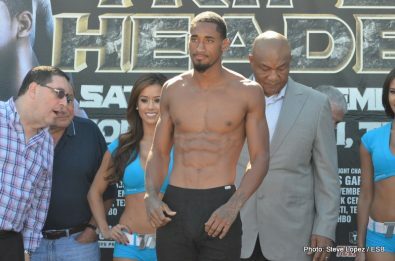 Here are exclusive visuals and photos from the weigh-in.